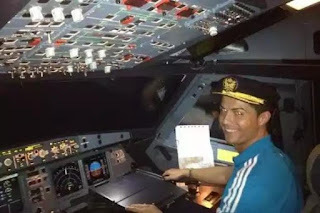 The 30-year-old is Real Madrid player,Christiano Ronaldo reportedly paid €19million (£13.5million) on a new Gulfstream G200 business jet, to help him jet around the world on his marketing missions. The aircraft can carry between eight and ten passengers, depending on its specification. It features separate bathrooms for the crew and passengers, plus also wardrobes, internet access, telephone, fax, microwave, electric oven, fridge for drinks and entertainment systems. 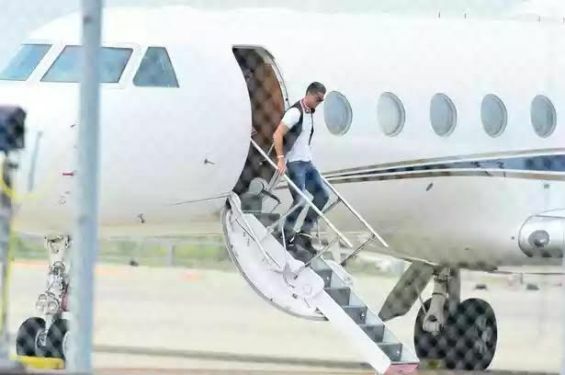 Away from the pitch, Ronaldo has become increasingly busy with PR opportunities, after launching a film about his own life and his own shoe brand, CR7 Footwear.